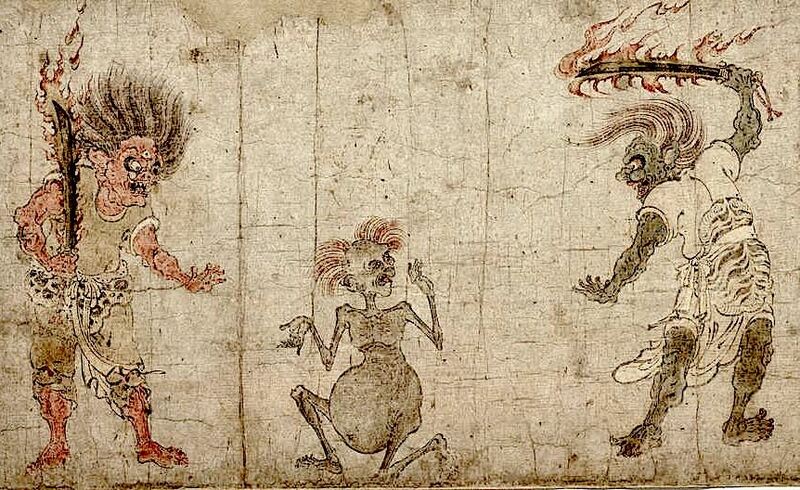 The hungry ghost realm in Buddhism also appears as our deep suffering of endless desire and aversion. In the Spirit Settling Ceremony we recognize and heal this difficult side by calling forth the hungry spirits, within us and without, and making offerings of food, chants, songs, noise, and prayers. The Sangha is invited to bring: offerings of nourishing food and sweets for the altar and also objects that symbolize the hungry ghost in your heart, noise makers (instruments, pots and pans, anything), wear scary costumes, and hang up creepy Fall decorations. Finally we'll have a basket for Food Bank donations for those in our own community who cannot afford good food. Feel free to bring a food donation. For the evening of the Spirit Settling Ceremony we change the atmosphere of the Zendo from staid and restrained to wild and chaotic so that these hungry, wandering spirits will feel at home.